Tag Archive | "Howard Stern"
Mr. Chernoff, you had once served as Program Director for WNEW, a wonderful rock n’ roll station that had enjoyed a 25-year run, a very long time in the world of commercial radio. As an aficionado of music whose tastes were formed to a great extent by what she heard on WNEW in the ’80’s and ’90’s, I thank you for your contributions to what, in my mind and heart, has been the greatest radio station in my lifetime. I would be very grateful, as would our readers, if you could share with us some of the things that you had experienced as a Program Director during that period, as well as your views of contemporary music and the general direction of the music industry and radio in general. First, I should ask you to explain the duties of a Program Director, if you would be so kind. 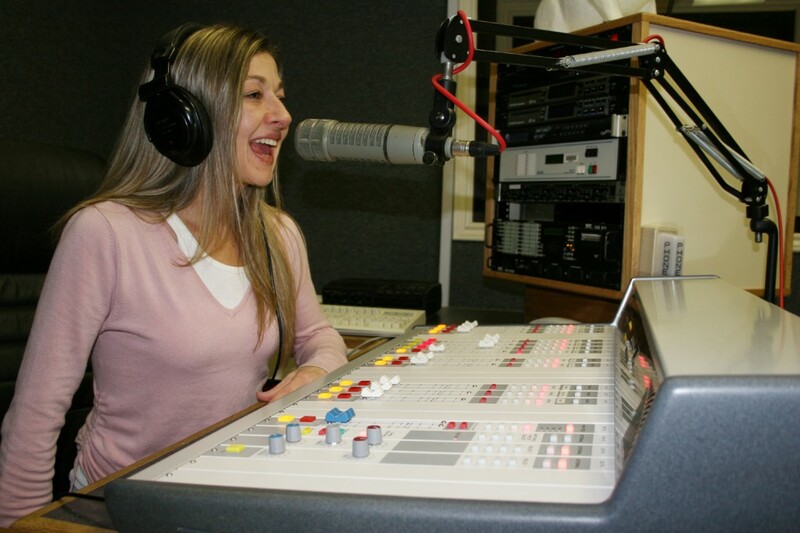 As a Program Director, you’re responsible for the entire sound of the radio station — the music that’s played, the on-air staff, the promos that run, even the general sound of the commercials. Basically, if it’s on the air, you’re responsible for it. Along with this, it’s working with the various departments like the promotions department to help create events and on-air excitement to make sure that listeners want to keep listening. I remember hearing Elton John for the first time on your former station, when he’d crossed “the pond” to perform in your studio and speak with your station’s DJ’s. An energetic, almost frenetic talent (he seemed to be standing on the keys as he played), Sir Elton, as he would later be dubbed, had obviously named his breakout album, “Madman Across the Water” properly. I also remember an interview with Paul Carrack, the genius behind one of Squeeze’s incarnations (to name just one of his contributions to music). In addition, I recall an interview with the great Les Paul, to whom most people erroneously contribute the creation of the electric guitar (Paul did not invent it, but he did bring it to the forefront in rock n’ roll as well as the process of overdubbing in the recording studio). During your time as Program Director at WNEW, what musical guest or guests interviewed on the show stood out in your mind, and why? I was at WNEW-FM from 1985-1989. While there, we had a range of guests on-air: Paul Simon, Rod Stewart, Jerry Garcia, Grace Slick, Bruce Hornsby, and countless others. Really, too many to name them all. Probably the most interesting guest was Bob Dylan. Dave Herman did the interview. Dave had to go to an almost secret location and had all of 20 minutes to talk to Bob. Dave said he was a tough interview and strummed his guitar throughout the entire interview. Bob was very shy and spoke in a soft voice so it was tough to play a lot of it back. But because he did so few interviews back then, it was a real coup to have him on the station. Who was your favorite artist or band of that era and why? Did you ever see them live? If so, did they live up to or exceed what you’d heard on vinyl and tape, or did they disappoint you as a live act ripped of its studio technology? As a real lover of rock and roll, it’s hard to pin down my “favorite” artists. I did have the opportunity to work closely with Graham Nash on our annual Hungerthon, and it led one year to a special Crosby, Stills, and Nash concert broadcast from the United Nations General Assembly Hall. We also did many live shows with both up-and-coming artists and superstars. I remember one show at Catch a Rising Star featuring The Bangles and a Bottom Line show with Bruce Hornsby, when he first hit the charts with his band, The Range. Outside of the WNEW-FM staff, that show was attended by 11 people! I got to know Southside Johnny from my days at WDHA. He did a number of shows for the station and we still remain friends today. He and the Asbury Jukes perform every year at WFAN’s annual end of summer beach party at the Jersey shore. I know I’m missing a lot here, but I was never disappointed at any of our live shows. For me, WNEW was the premier rock station of its time; it was the one l always tuned in first, usually before the sun came up. At the end of the dial, your main competition boasted Howard Stern, the “Shock Jock.” Stern had a rather large and loyal following. Were you ever tempted to hire an on-air personality whose approach was similar to Stern’s? Why or why not? Howard Stern worked at 92-3 K-Rock, and when I moved over to K-Rock, I had the good fortune to work with him for almost five years. At WNEW-FM, it was the music and DJ’s that went with the music. At K-Rock, we did a great job with our classic rock format but it was Howard who drove the bus for the station. I admired, respected, and liked Howard. He was and continues to be an amazing radio host. Do you remember the DJ who had conceived and hosted a weekly program, “Idiot’s Delight?” His name was Vince Scelsa. Part of Vince’s appeal was to break new artists, such as Tracy Chapman and Suzanne Vega. In doing so, Vince would sometimes spin a record by an unsigned or “indy” artist, and confess afterwards (laughingly) that he knew he wasn’t supposed to do that. Vince was eventually relegated to time slots that most listeners found inconvenient, and I always thought that this was done purposely, because of his fondness for spinning new artists. Why was there a stigma then, as there seems to be now, surrounding the playing of material by artists not signed to a major label, or to any label at all? Are there legalities involved? Here’s a better history of Vin Scelsa. Vin was an early part of progressive rock at his college station, WFMU. He went on to work for a short time at WPLJ before really making a name for himself at WNEW-FM hosting late nights (9 PM and overnights) and developing his Sunday show, “Idiot’s Delight.” Vin was a big believer in progressive rock, mixing not just rock but often all forms of music along with talking much more than the average on-air host about books, art, theater, music, and just telling stories. For a number of years, he was on late nights followed by Tom Morrera and they teamed their two shows as “Butch and the Brick” (Morrera was the Brick). Vin left WNEW for a variety of reasons, including the fact that playlists came into being and he felt that there needed to be more of a free-form approach. After leaving WNEW, Vin worked at WLIR. Did your path and Scelsa’s cross paths professionally any other time? When I was at WDHA in Dover, New Jersey, I met with him and wanted to hire him (he lived not too far from the station). As a local New Jersey station, we didn’t have enough money to pay him for a fulltime job, but would have allowed him unlimited freedom of choice on the music. At that point in time, K-Rock was just getting started (having converted to rock from the old disco station, 92-WKTU), and Vin was hired to do a Sunday morning show. When I moved to K-Rock in 1989, I loved the fact that Vin was there. I had also recently hired Pete Fornatale and had a dilemma about what to do for the Sunday morning programming. I spoke to Vin and told him I thought he would do great on Sunday nights and Pete’s Sunday show, which was more folk-oriented, would do better in the morning. At first Vin thought I was nuts, but eventually felt that I did a great thing for him. I gave Vin a six-hour show from 8 PM to 2 AM, and told him that he could stay on as long as he liked. So he took me at my word and he often stayed on until 4 AM or later! Flashing ahead a few years, Vin and I got to finally work together at WNEW-FM in the mid- 90’s, as he had moved back there, and I was programming the station for about a year and a half while also programming WFAN. I was always supportive of Vin’s style and offered him the opportunity to do five nights a week. Unfortunately, he turned it down, as he was the stay-at-home parent for his daughter Kate. Vin eventually moved on to Sirius Radio and a Saturday night show on WFUV, Fordham University’s “Triple-A” formatted station and he continues with both jobs today. What can you tell us about the stigma surrounding airplay for new artists? Many stations felt the need to bring in advertising (rightfully so) and often had to play more “familiar” music, a situation that made it harder for new artists to break through. During my WNEW days, I was able to break any new artist that we felt good about. We would listen to all new music and continue to pick and choose what we hoped would be best for the station. As you would figure, we were right on some picks, wrong on others. But we did break some artists like Bruce Hornsby and The Range, Richard Marx, The Bangles, etc. We also maintained a very large library of older music. WNEW did not just spin records; it was committed to honoring its position as an AOR (Album-Oriented Radio) format. Along with those interviews that I relished, there were “Workforce Blocks” of three songs played consecutively by the same artist or band as well as concert feeds and interviews, usually via Westwood One. Were any of these contributions yours? If not, was there something that you, as a Program Director, brought directly to the station or wished and/or fought to see instituted? I did not create Work Force Blocks. I did create the tag line we used to describe the station for a few years: “Classic rock to the cutting edge.” My main job was to nurture the great air staff we had and hopefully keep them inspired to create great radio via the music available, both new and old. I hope that my contributions were important to the station, as I loved working with the air staff and loved the music we played. We were a team in creating great promotions for the station and events that are well remembered, like Rocktober, Summer Beach Party in Asbury Park, Bottom Line concerts, and special weekend events (I did create many of these). All in all, my duties encompassed promotions to management, serving as the guiding hand of Scott Muni and the great air staff including Dave Herman, Dennis Elsas, Pete Fornatale, Pat St. John, Richard Neer, Dan Neer, Carol Miller, and so many others. Can you explain to our readers the process involved in establishing and maintaining play lists for a radio station? How does one determine which artists will be spun during drive time as opposed to which ones will be played in the wee hours of the morning when most listeners are asleep? It’s a complicated system, but usually a new song by a superstar or something that just had a great feel often got more airplay. Newer songs from lesser-known artists often started at night and if popularity increased, the song got better airplay. One artist I remember giving very early airplay to was the group “The Smithereens” (from New Jersey). They put out a song called “Blood and Roses.” I know I was the first commercial station to jump on it and immediately gave it great rotation — I just knew it would be a hit. And it was!